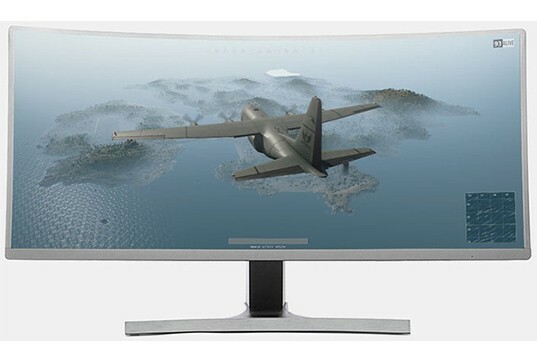 Want an affordable 3440×1440 100Hz ultrawide gaming monitor? 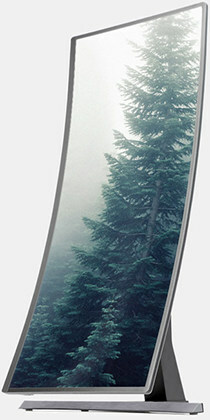 Massdrop may have just the perfect deal for you with their Vast 35″ ultrawide curved display. The Massdrop Vast uses the same VA panel by AU Optronics that used in the more popular ASUS ROG Strix XG35VQ and the BenQ EX3501R. So, you get the same 2,500:1 static contrast ratio, 300-nit maximum luminance, 178-degree viewing angles, 8-bit color depth with 100% sRGB gamut, 3440×1440 screen resolution, and 100Hz refresh rate. You get all that for over $200 less than you’d pay for ASUS or BenQ’s models; so, what’s the catch? One of the main drawbacks of the Vast gaming monitor, or rather an inconvenience, is that it can take months for your order to arrive – depending on Massdrop’s stock. Other than that, the gaming monitor is top-notch. It delivers vibrant and rich colors with vivid blacks thanks to its superior contrast ratio and wide color gamut. Further, the high 3440×1440 screen resolution provides you with plenty of screen real estate and sharp details with a rich pixel density of 106 PPI (pixels per inch). While Massdrop specifies a 2ms (GtG) response time with overdrive applied for a TN-like responsiveness, there is still a lot of ghosting visible in fast-paced games which is standard for almost all VA panels. As the image gets darker and there are mainly dark pixels involved in the picture, ghosting and smearing of the fast-moving objects become even more obvious. On balance, we find the amount of motion blur and ghosting reasonable and a fair trade-off for such deep blacks provided by the panel. Competitive gamers, on the other hand, should opt for an IPS-panel ultrawide or a regular TN-panel widescreen gaming monitor for better performance. Moving on, the Massdrop Vast input lag performance is only ~9ms which is very good. There is no prominent backlight bleeding, the screen is flicker-free, and there’s an integrated low-blue light filter. The Massdrop Vast curved gaming monitor is equipped with plenty of gaming features starting with AMD FreeSync. FreeSync allows the display to change its refresh rate according to the GPU’s frame rates which eliminates screen tearing and stuttering for good. You will need a compatible AMD graphics card for this and while you can use the Vast with NVIDIA cards, you can’t use the dynamic refresh rate in that case. The Massdrop Vast FreeSync range is 49-100Hz, so when your FPS (Frames Per Second) rate drops below 49, FreeSync will stop working until the framerate is back within the dynamic range. Since the higher end of the dynamic range is more than twice the lower end, the monitor also supports LFC (Low Framerate Compensation). So, when your FPS rate is under 49, LFC will make the display’s refresh rate double or triple the frame rates in order to reduce tearing and stuttering. Other gaming features include crosshair overlays as well as FPS and RTS picture presets. The design of the Massdrop Vast monitor is rather versatile with up to 110mm height adjustment, -5°/15° tilt, VESA mount compatibility, and even 90° pivot, but you cannot swivel it to the left and right. Connectivity options include an HDMI 2.0, a DisplayPort 1.2, two HDMI 1.4 ports (max 3440×1440 at 50Hz), and a headphones jack. The Massdrop Vast price is only $550 which makes it well worth the money. 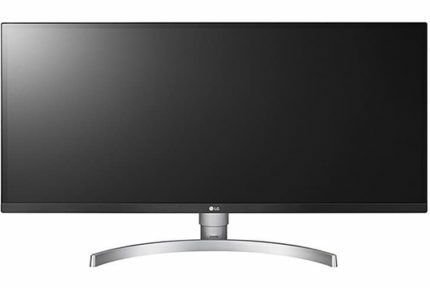 If you’re more into competitive gaming, check out the LG 34UC79G, it has a lower resolution but a higher refresh rate and a better response time performance. 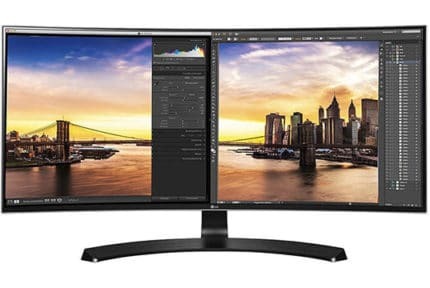 Visit our best ultrawide monitors buyer’s guide for more options. The Massdrop Vast may not offer premium features such as 1ms MPRT motion blur reduction or HDR as its more expensive rivals do, but it is significantly cheaper allowing those with limited budgets to enjoy the ultrawide gaming experience at both high refresh rate and high resolution. For the price, you'll hardly find a better gaming monitor that delivers such a good balance between gaming responsiveness and immersion. You get a big 35" high-resolution curved screen for a stunning viewing experience as well as 100Hz, FreeSync, low input lag, and a decent response time for a smooth performance. However, if you can afford it - consider the ASUS XG35VQ or one of the IPS models with faster response times.